After NORDET and SUROIT it is the turn of the JEUNE France which ensures the rotations between Saint-Pierre and Langlade to make its obligatory annual refit. The ship climbed this morning, Tuesday, April 2, on the Saint-Pierre slipway. Langlade rotations is scheduled for the end of April. 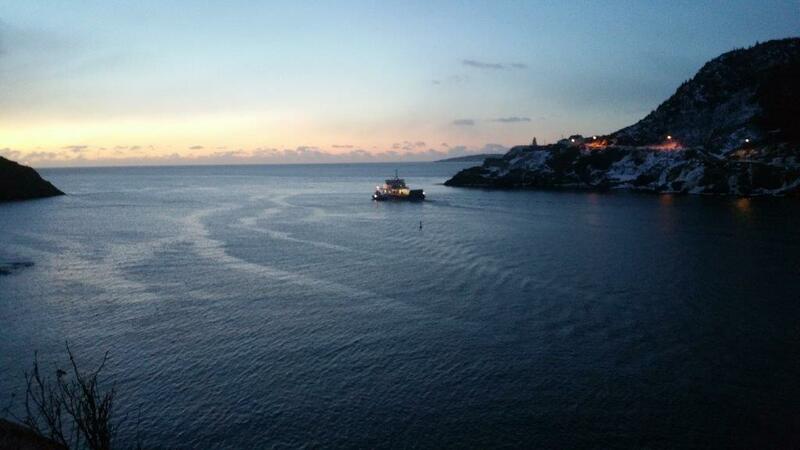 This Monday, March 18th, the ship “NORDET” was back from ST-Johns after having carried out its annual refit. 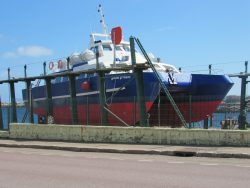 The ship had left the port of Saint-Pierre on March 4th. Scheduled maintenance work requiring the dry docking of the vessel was completed within the required time.On the night of Monday to Tuesday, around 1 am, the ship “SUROIT” left in turn towards St-Johns.After 10 hours of navigation, it arrived at the port and would have to stay there about fifteen days to undergo as his twin brother his obligatory annual visit. For the comfort and safety of our passengers, as required by international regulations for all high-speed vessels, an annual periodic survey of the hull out of the water must be carried out under the control of a classification society, for us the Bureau Véritas. SPM Ferries chose to carry out this check before the tourist season. The ships will leave one after the other in St John’s to be put out of the water, the St Pierre slipway do not have the capacity to welcome us. Technical verifications will also be carried out. The Nordet will be absent from the archipelago from 4 to 17 March, and Suroit from 18 to 31 March. Changes were made on the schedules for Fortune so that no rotation will be cancel. 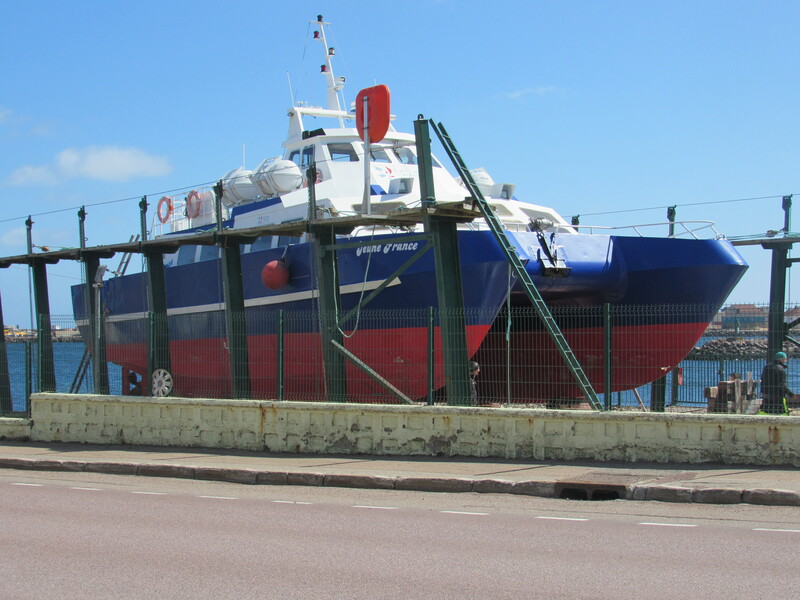 The Territorial Community of Saint-Pierre and Miquelon is pleased to announce the commissioning of its new ferries SUROÎT and NORDET. 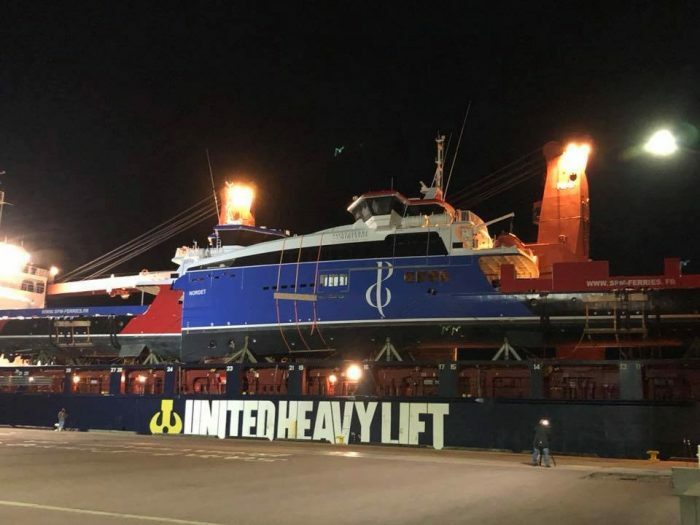 On May 14, 2018, SPM Ferries commissions the vessel SUROIT. With a capacity of 188 passengers and 18 vehicles, the SUROIT will replace the Cabestan which should leave our islands at the same dates. The ship NORDET (sister ship) will follow the path of the SUROIT a month later. The service will start with passenger transport only at first. These two vessels will improve the accessibility of our territory and thus facilitate transportation between the islands and with Newfoundland. 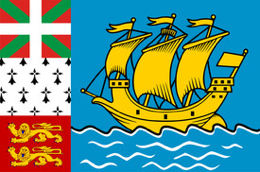 With a greater number of trips, a new direct connection between Miquelon and Fortune twice a week in summer, the Territorial Community of Saint-Pierre and Miquelon strives to facilitate and improve the quality of transport offered.